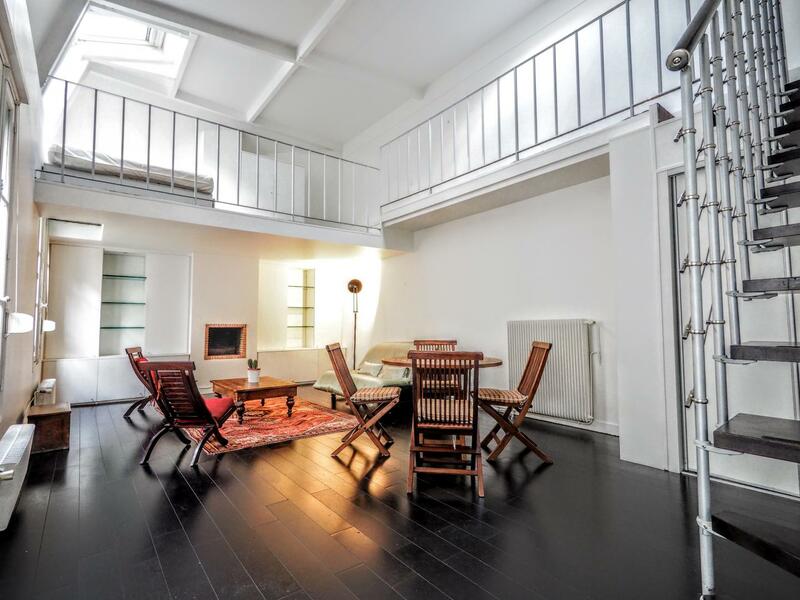 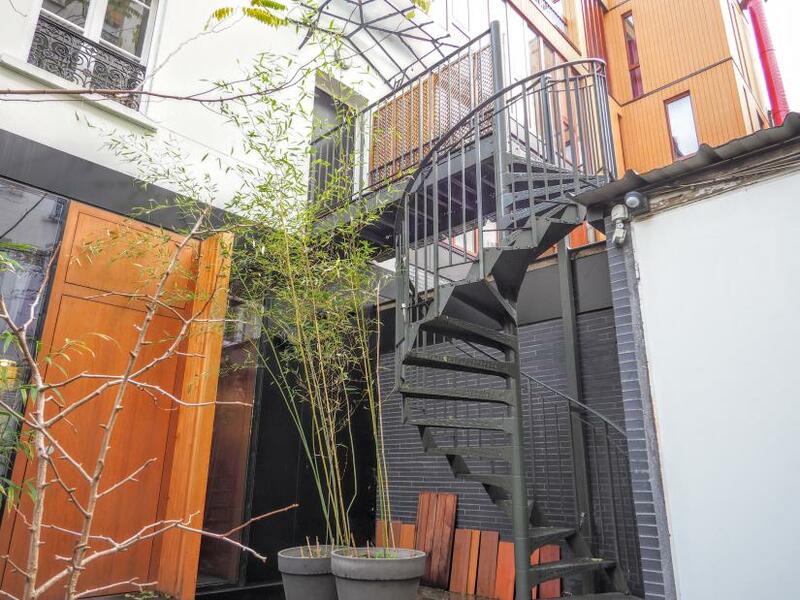 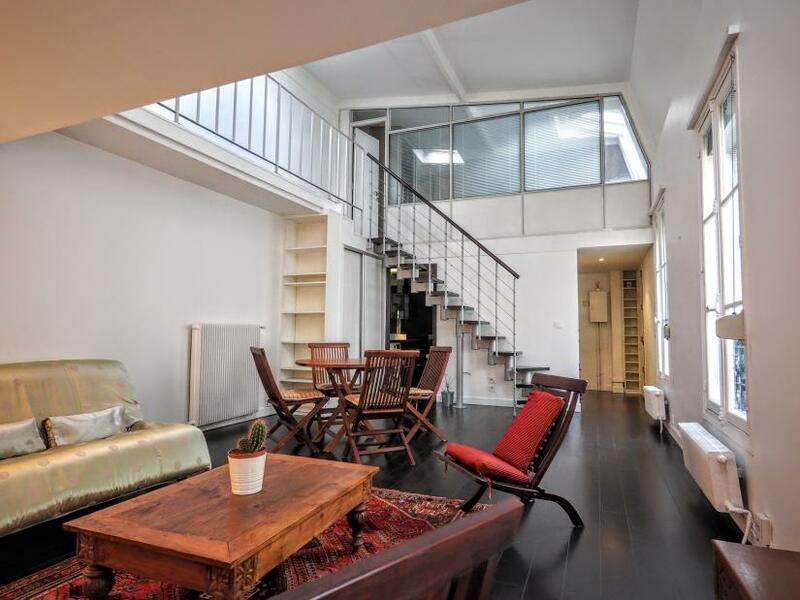 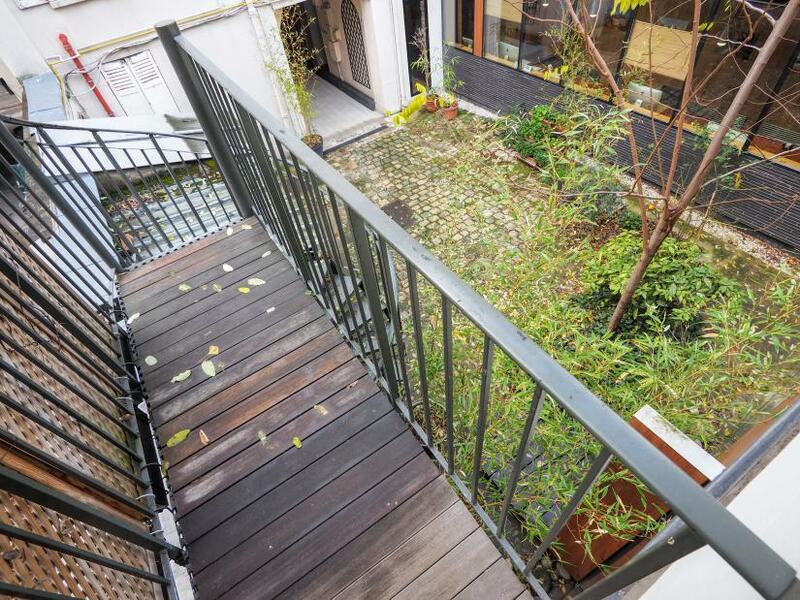 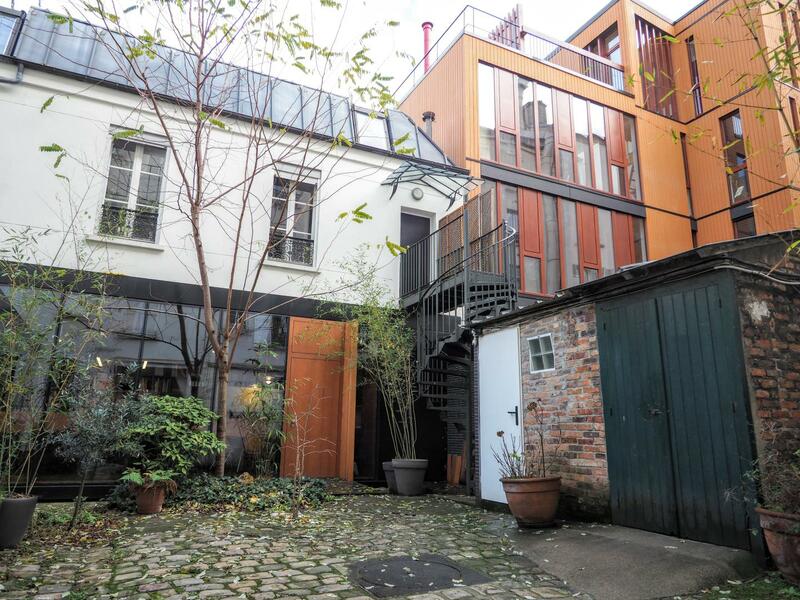 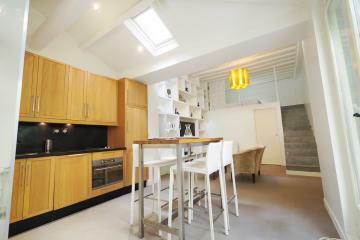 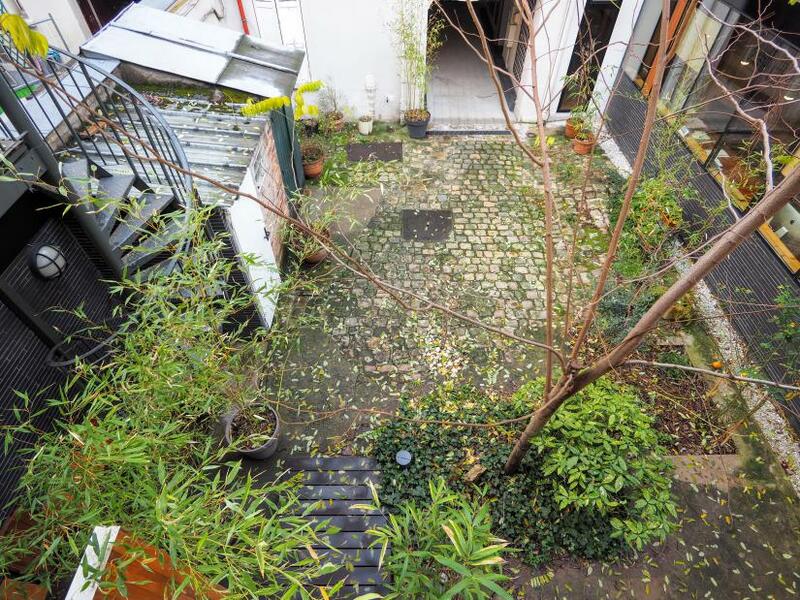 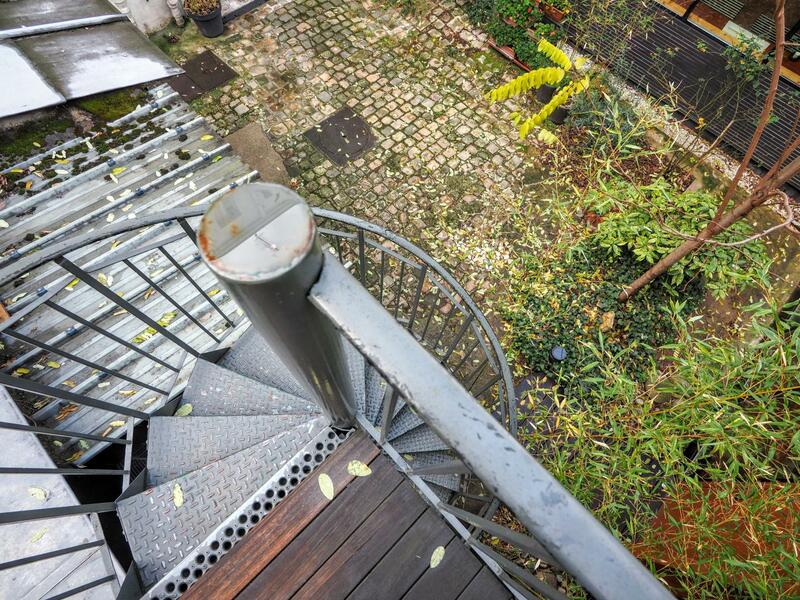 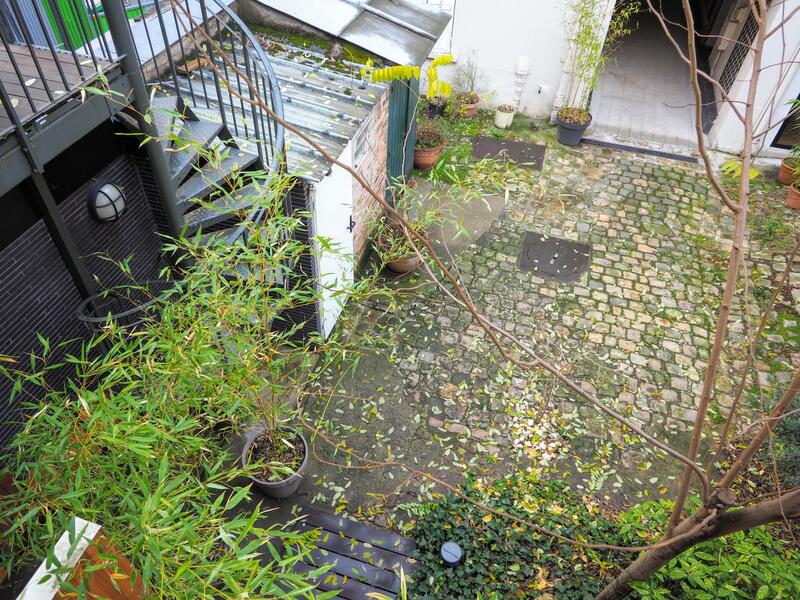 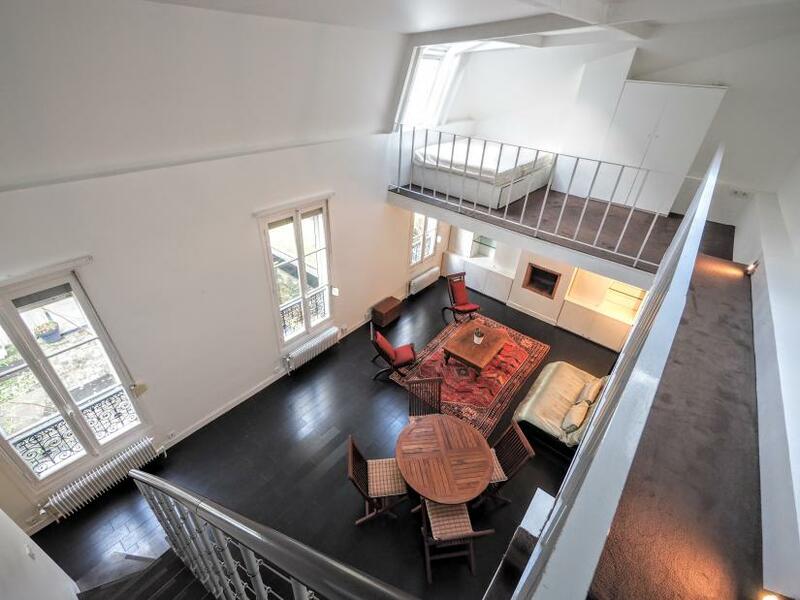 Charming designer loft situated in a private house on a quiet courtyard. 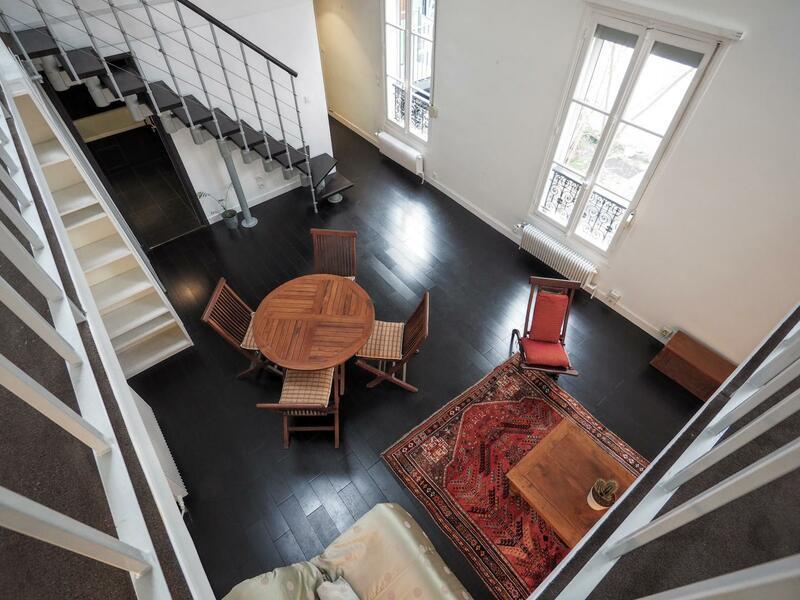 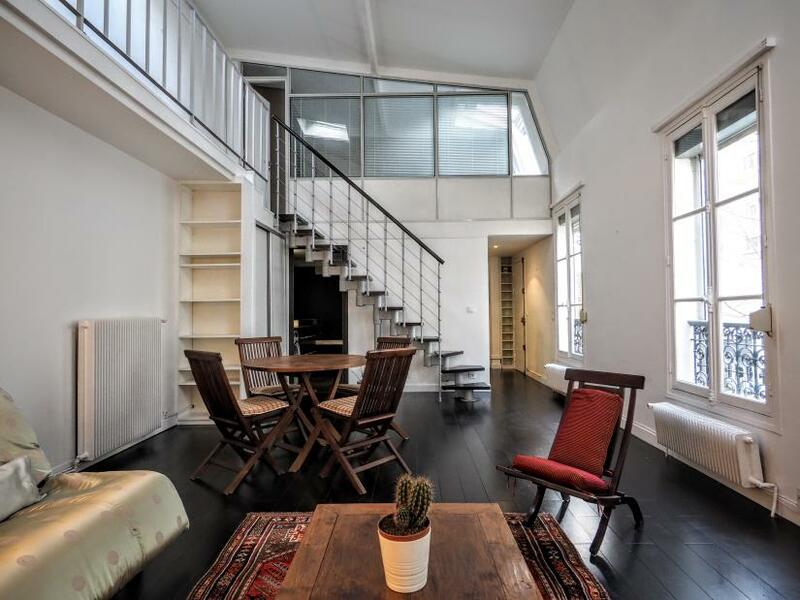 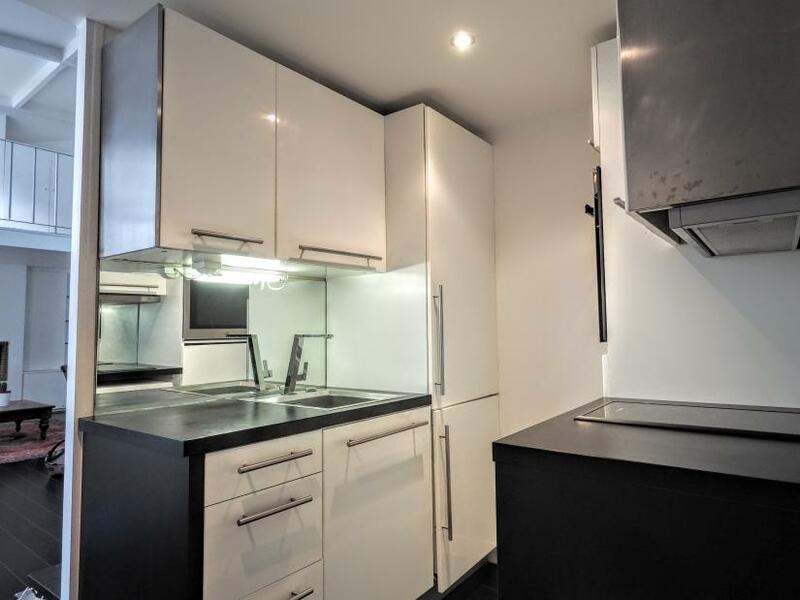 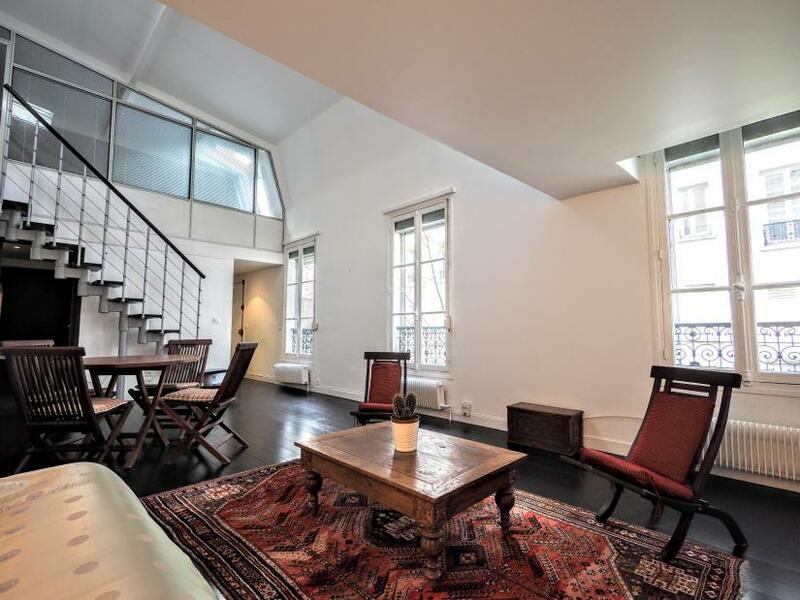 This 2 bedroom apartment for rent in Paris is located in the residential 15th arrondissement close to the news trendy Beaugrenelle area. 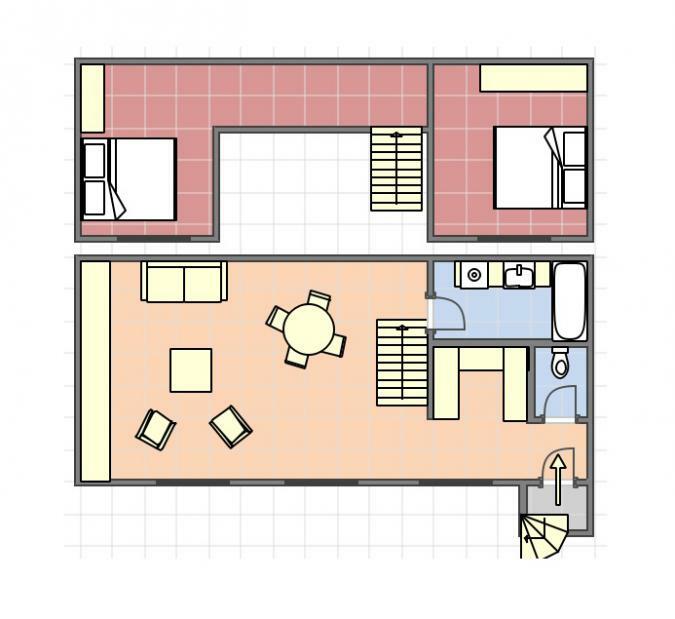 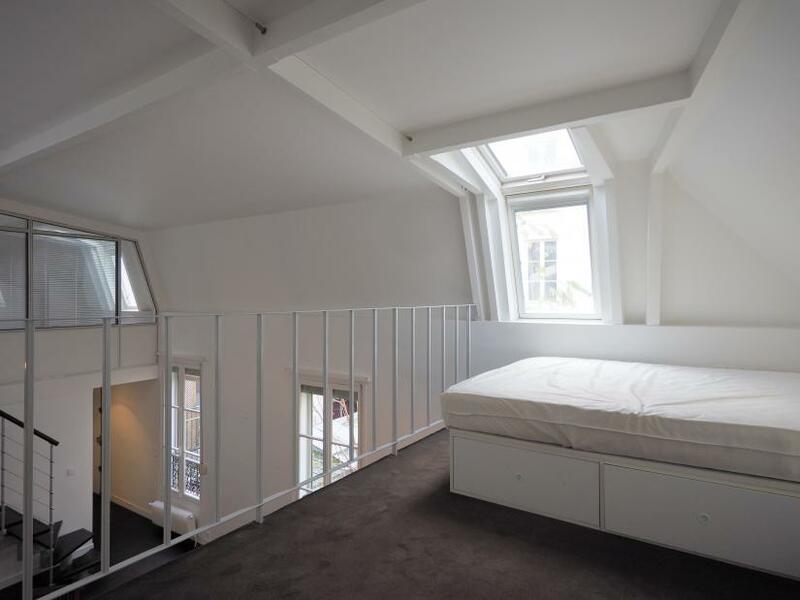 Situated on the 1st floor with no lift, the flat offers great volumes, brightness and a a very convenient floor plan which welcomes 4 people. 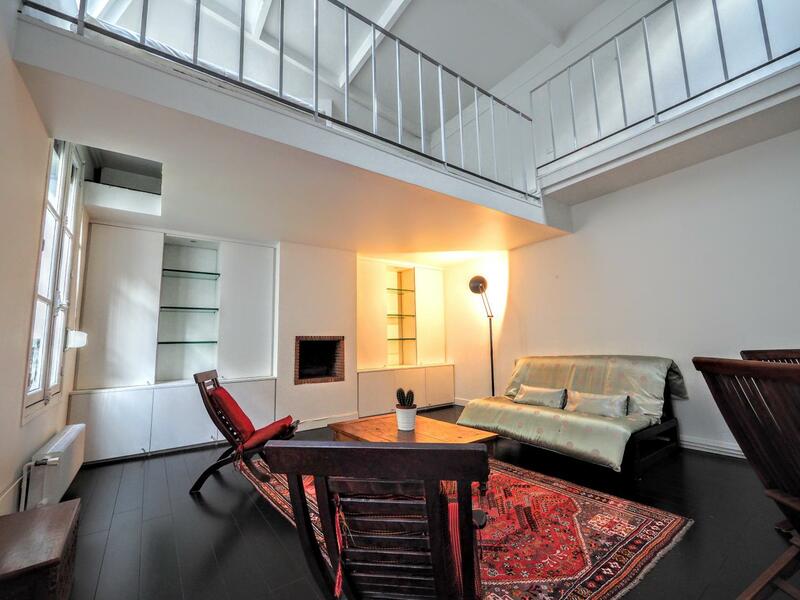 Large living room offering 2 windows on a planted courtyard and a large mezzanine which leads to a bedroom open to the living room. 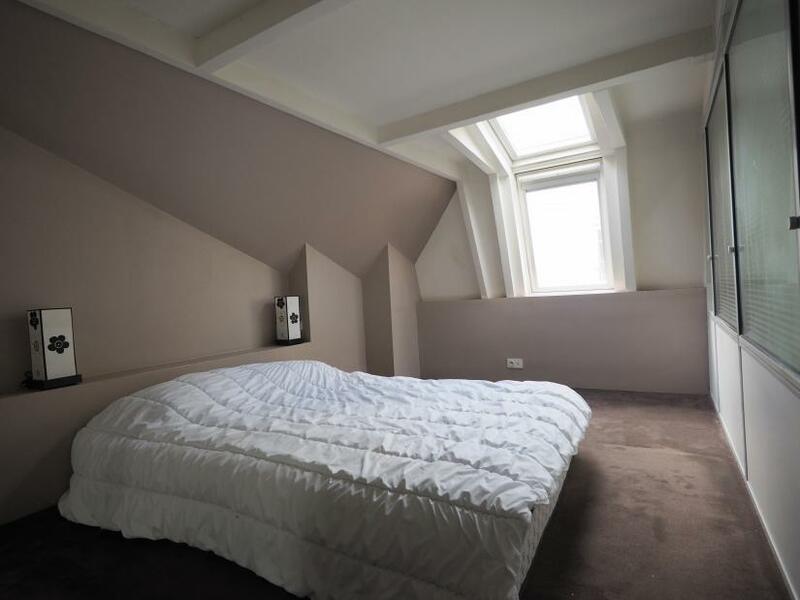 Second bedroom with a double bed and a large cupboard. 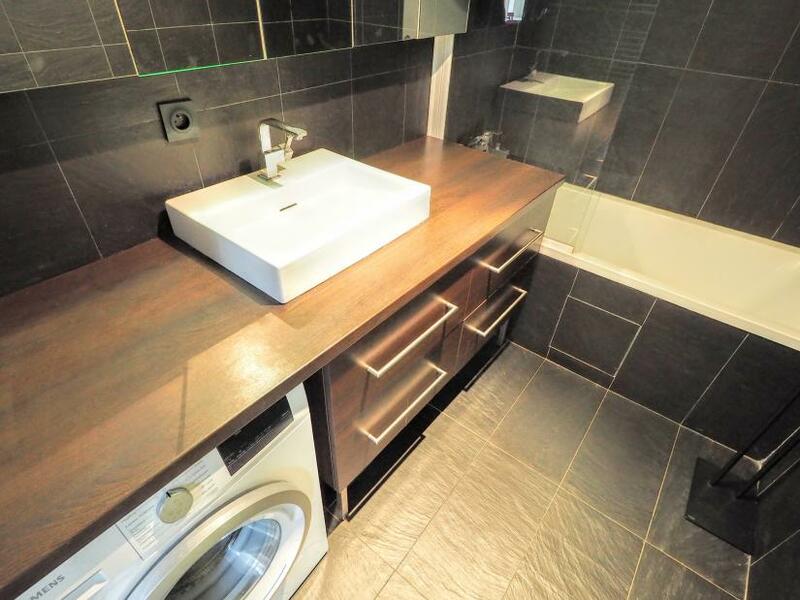 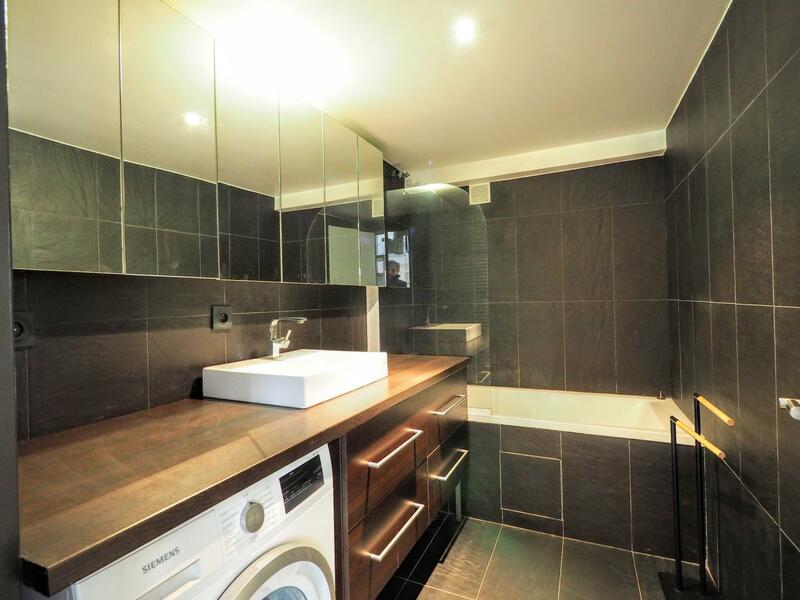 Bathroom with a washing machine. 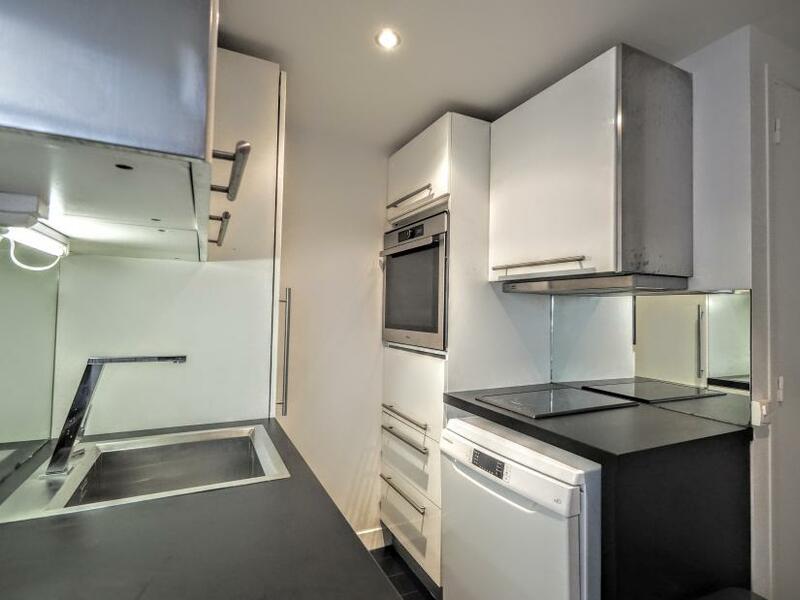 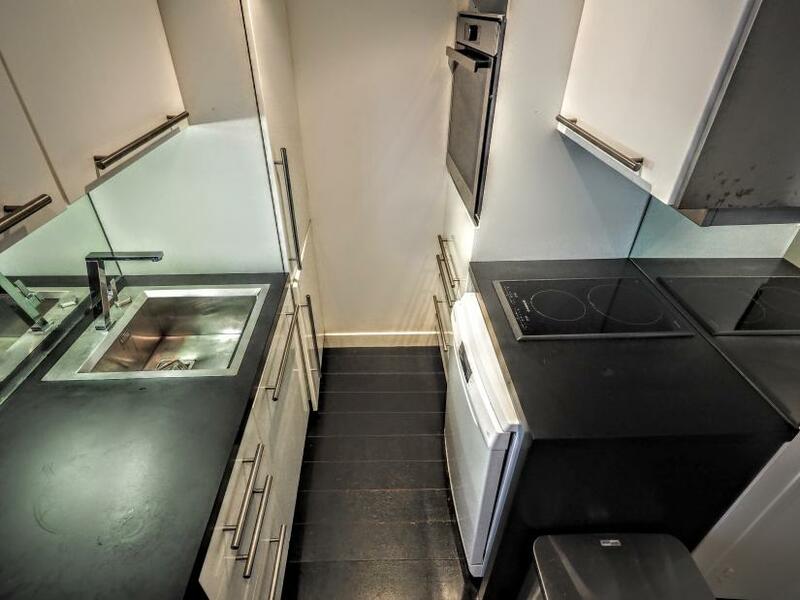 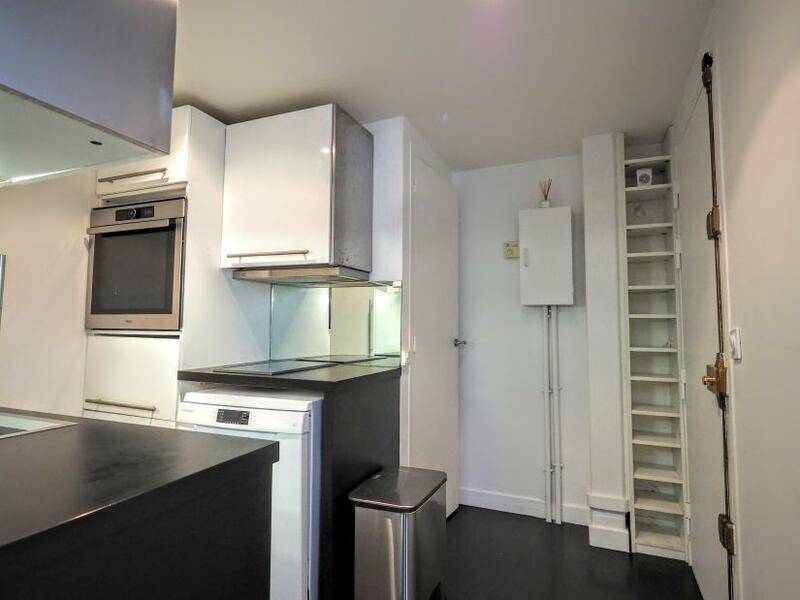 Fully equipped kitchen. 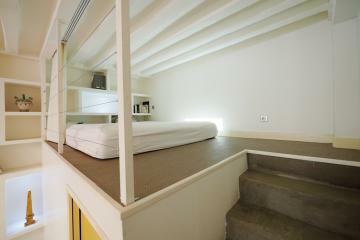 Unlimitted internet access is included. 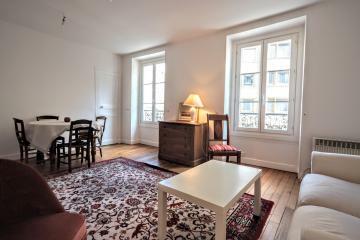 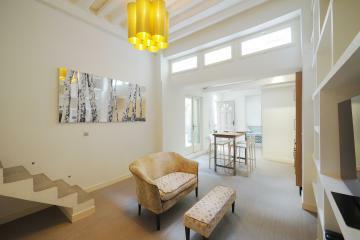 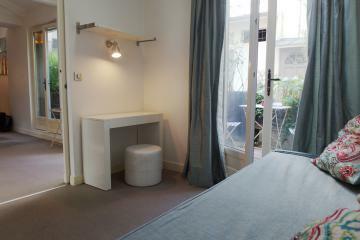 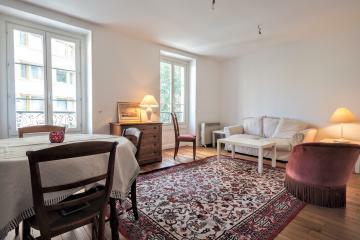 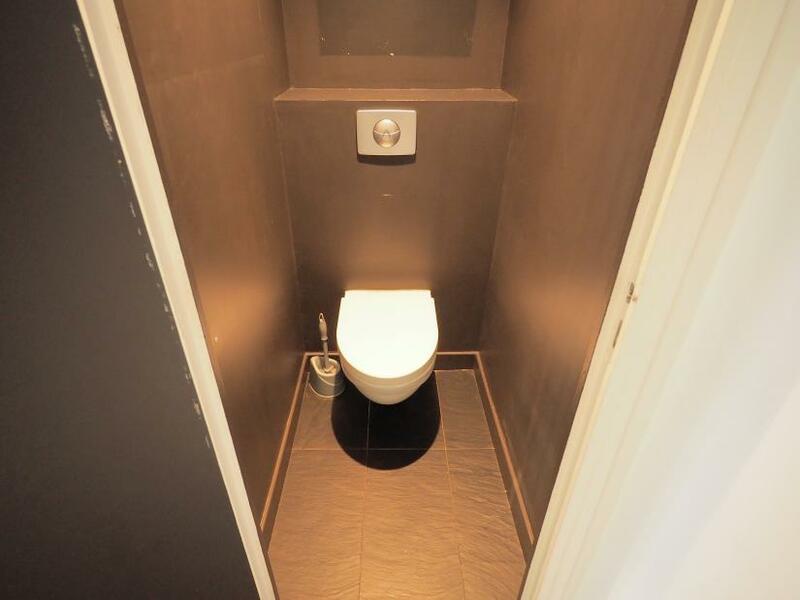 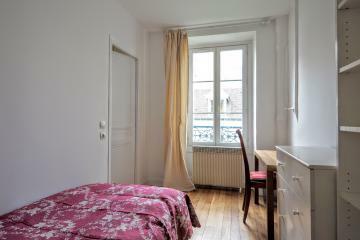 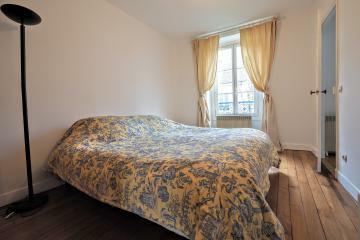 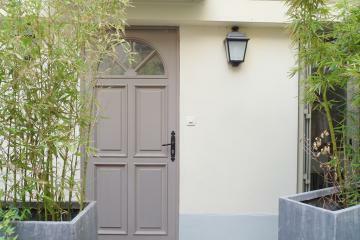 Available for long stay rentals in Paris . 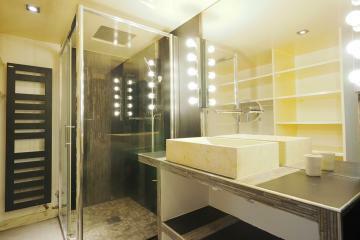 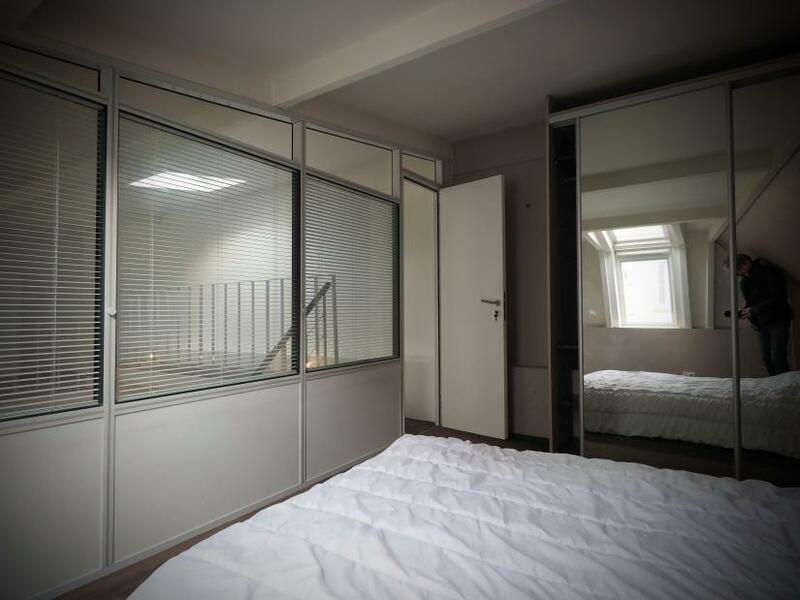 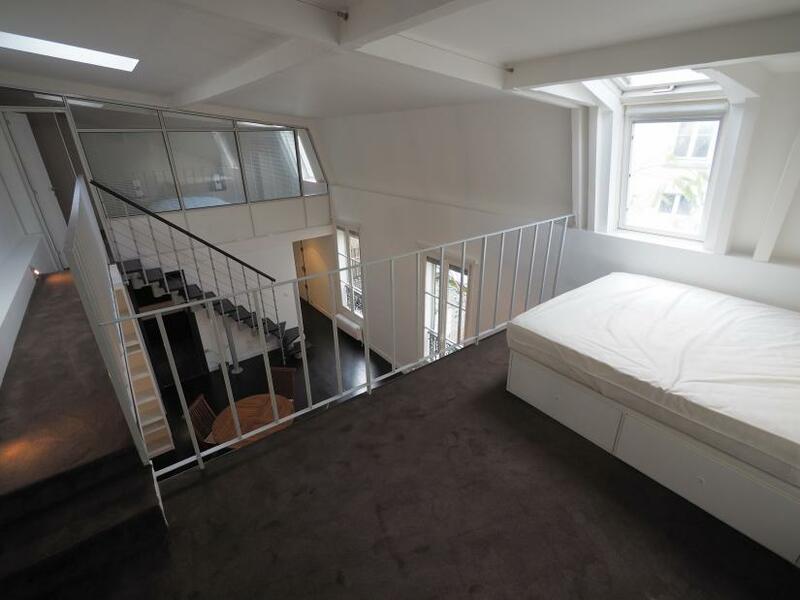 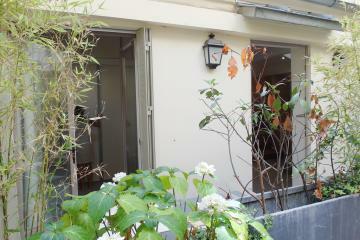 1 st floor, without Lift, 2 bedrooms Loft, furnished, Approx: 70m² / 753 Sq.Ft.